Six airports in India will soon see a spike in business activities as the government has given its nod to modernise them under the PPP (public-private partnership) model. The Union Cabinet, which was chaired by Prime Minister Narendra Modi on Thursday, approved a proposal to manage Ahmedabad, Jaipur, Lucknow, Mengaluru, Thiruvanathapuram, and Guwahati airports under the PPP model. The government's decision on privatising these airports comes 12 years after it privatised Delhi and Mumbai airports, which have emerged among the top airports globally. The latest initiative will not only help create world-class airports in these six cities but will also boost the AAI revenue. Economic development will also see a rise in these areas in terms of job creation and related infrastructure. Reports suggest these airports will be privatised for the next 30 years, and the bidding process will be held on a revenue sharing model. While the AAI could still hold a minority stake, the chosen private player could hold at least 75 per cent stake. The Delhi and Mumbai airports have been leased to GMR and GVK, which share 45.99 per cent and 38.7 per cent of their revenues with the Airport Authority of India every year. So far, the AAI has earned around Rs 1,000 crore as lease rentals from these companies. The operation, management and development of all these aerodromes, owned by the Airports Authority of India (AAI), would be done under PPP, an official tweet said. "Happy that the Cabinet has approved leasing out six of Airport Authority of India (AAI) airports viz Ahmedabad, Jaipur, Lucknow, Guwahati, Thiruvananthapuram & Mangaluru. We are working on creating world-class infrastructure & are committed to improving passenger convenience," Union Aviation Minister Suresh Prabhu said. The Public Private Partnership Appraisal Committee (PPPAC) will handle the privatisation project, and any issue that is beyond its scope would be dealt with by an empowered group of secretaries. The Empowered Group will be headed by NITI Aayog CEO and the secretaries from the Ministry of Civil Aviation, Department of Economic Affairs, and Department of Expenditure. The PPP model has also worked well for the AAI's airports in Delhi, Mumbai, Hyderabad, Cochin and Bengaluru. These airports have the world-class infrastructure and overall service quality has also improved, which has also helped the AAI in boosting its revenue stream without making any investment. 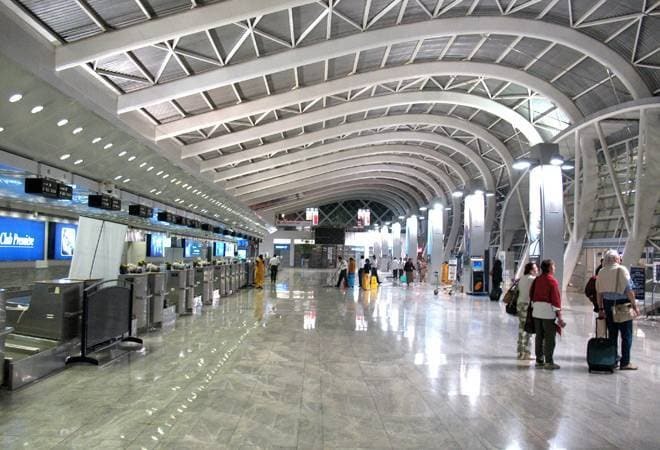 As per the government claims, the PPP airports in India have been ranked among the top 5 in their respective categories by the Airports Council International (ACI) in terms of Airport Service Quality (ASQ). The increase in domestic and international air travel in India, combined with congestion at most airports and the strong traffic growth at the top five airports privatised a decade ago has attracted the attention of several international operators and investors.